In life, as in sports, a quick time-out to rethink and re-center on the goal is a smart strategy. 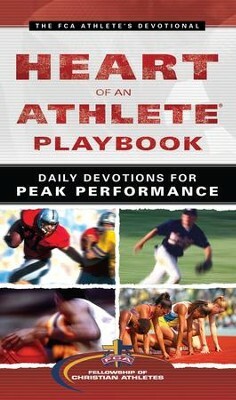 The Heart of an Athlete Playbook gives readers regular spiritual training for life on and off the field. 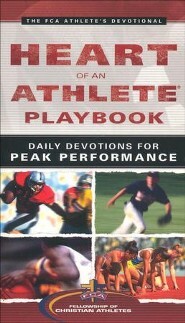 This collection of 31 devotional readings are a quick start for athletes at any level, offering memorable, biblical insights for handling challenges and playing with God's purposes in mind. Readers will be introduced to the FCA devotional method, "PRESS," designed with athletes in mind: Pray, Read, Examine, Summarize, and Share, and will discover how to use biblical principles to become a dynamic competitor for Christ. Since 1954, the Fellowship of Christian Athletes has challenged athletes and coaches to impact the world for Jesus Christ. FCA is cultivating Christian principles in communities throughout the world by encouraging, equipping, and empowering others to serve as examples and to make a difference. Reaching over two million people annually on the professional, college, high school, junior high, and youth levels, FCA has grown into one of the largest sports ministries. Through this shared passion for athletics and faith, lives are changed for current and future generations. Dan Britton serves as the Fellowship of Christian Athletes' executive vice president of international ministry and training at the National Support Center in Kansas City. He has been on FCA staff since 1991. In high school and college, Dan was a standout lacrosse player. He continued his lacrosse career by playing professional indoor lacrosse for four years with the Baltimore Thunder. He has coauthored three books-- One Word That Will Change Your Life, WisdomWalks, and WisdomWalks SPORTS--and he is the author and editor of eleven FCA books. He still plays and coaches lacrosse and enjoys running marathons. He and his wife Dawn reside in Overland Park, Kansas, with their three children. 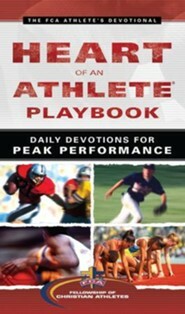 I'm the author/artist and I want to review Heart of an Athlete Playbook: Daily Devotions for Peak Performance - eBook.